This Tuesday! Morbid Anatomy presents at Observatory! Hope to see you there! Please note: This lecture is paired with an event which took place on Tuesday, June 15; More here. Tonight, join Observatory as it hosts Torino:Margolis in a three-part performance investigating the rich history of biomedicine, electricity, and spectacle. 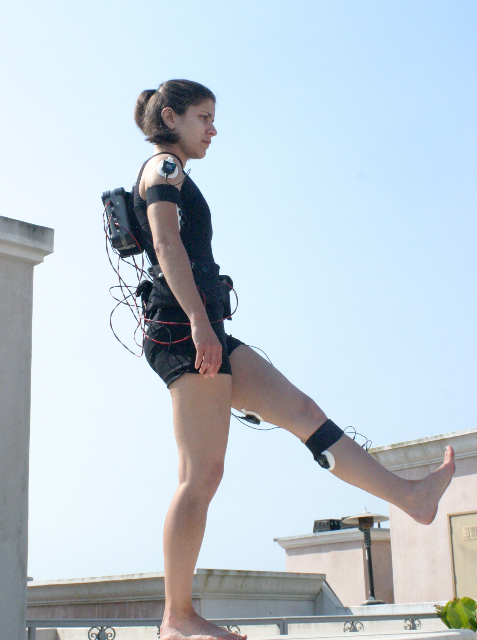 First, the audience will have the opportunity to control the movement of the performer using neuromuscular stimulation, which sends outside electricity into the performer’s muscle, forcing their muscle to contract and the performer to move involuntarily. In the second part of the performance, they will use electromyography (EMG) in a sound-based performance. EMG is a way of sensing the electricity produced naturally during muscle contraction when an individual moves voluntarily. However, when the performer is physically manipulated by another person there is no action potential generated, no signal sensed by the EMG, and no change in the sound is produced. In this way you can hear someone’s free will. In the third portion they will add a vocal component to the EMG “rig” by manipulating sound coming from the vocal cords using neuromuscular stimulation. Torino:Margolis will then explain the workings of the biomedical tools used in the performance and the audience will have the opportunity to ask questions. Torino:Margolis is a performance art team that smashes through physical and psychological barriers separating one body from another using invasive electronics and biomedical tools. They explore the idea that the self is transient, elusive and modular by playing with the notion of control and free will. Their extraction of physiological processes concretizes these concepts and presents them as questions to the viewer — not to illustrate the mechanism, but to explore the experience. The team has performed nationally and internationally at New York venues such as Issue Project Room, POSTMASTERS Gallery and Exit Art, the HIVE Gallery in California, and the Bergen Kunsthall Museum in Norway. They have lectured for institutions such as SUNY Stony Brook and the School of Visual Arts. For more information please see www.torinomargolis.com. You can find out more about this here. You can get directions to Observatory--which is next door to the Morbid Anatomy Library (more on that here)--by clicking here. You can find out more about Observatory here, join our mailing list by clicking here, and join us on Facebook by clicking here.